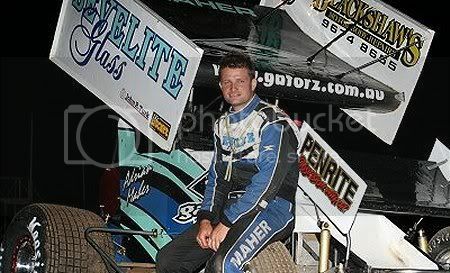 Parramatta City Raceway based racer Adrian Maher will travel to the 2007 Australian Sprintcar Title at Latrobe’s Mountain Dew Ice Speedway (Tasmania) and has set his goals at being a top ten finisher. The Gatorz Racing supported driver has never competed at the Tasmanian venue. Despite this disadvantage, Maher is aiming to not only qualify for the feature race, but be inside the top ten at the completion of the weekend.